What are you waiting for? Go find them! 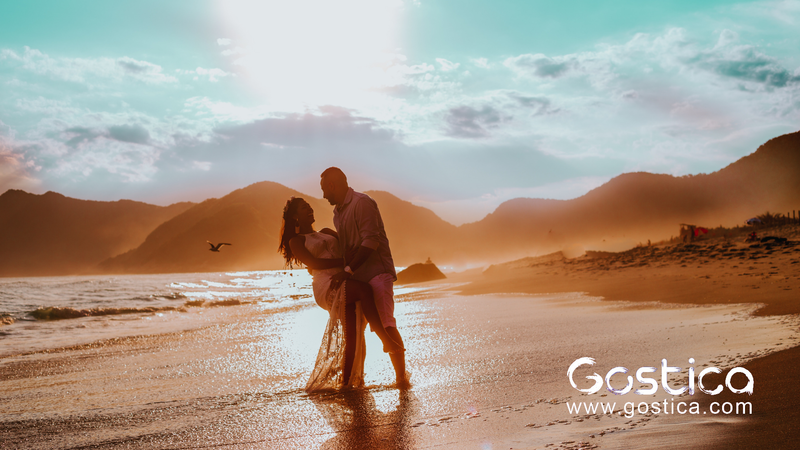 When it comes to dating and figuring out how to find your soulmate, there are certain personality traits to look for that will identify someone who resonates with your soul to create a strong and beautiful spiritual connection. Falling in love is an experience of spirituality in itself, and your romantic relationships should be a reflection of your most deeply cherished beliefs. Someone you consider a soulmate gives you a sacred space to be fully you unapologetically. He or she will also challenge your beliefs, and call you to be your highest self. There’s a safe space to call them on their stuff, and they will call you on yours so that both of you can grow spiritually. So if you are wondering how to find your soulmate, here are 12 personality traits to look for in someone capable of a deeply spiritual connection. You can be yourself completely with a soulmate because there is no fear of being judged. You will not be condemned for your beliefs, choices or mistakes. Your soulmate may express disagreement or disappointment, but they won’t attack you with insults, deliberate withdrawal or defensiveness. You have ultimate freedom to be yourself with a soulmate who has this quality. A soulmate is someone who holds an intention for your highest well-being so you can trust you are in this together. Even if you feel hurt, angry, sad or disappointed, you can rely on their heart’s intention for your happiness. They have your back, so even when you disagree they are still by your side. The trust is so strong you also have your privacy with a soulmate, such that you can trust not only what they share, but that not everything needs to be. These two traits go hand in hand. You can’t be patient without seeking to understand. Patience means a soulmate won’t over-react in emotional blame or attack you verbally or by their actions when things don’t go their way. Instead, they have the patience to allow things to unfold as they may because they understand that we all have our differences. There’s patience for anger, hurt, and disappointment to show up fully, and be held safely. Being kind is a must in a soul-mate, and often gets overlooked. A soulmate lives the golden rule of treating you the way they also want to be treated — with dignity, kindness and respect. A soulmate will still treat you kindly no matter what surprises life brings your way. If they step out of line, their apology will be made with genuine remorse, because being kind is a value they honor in themselves, and an effort will be made not to repeat the same mistake twice. A soulmate is someone who is a fantastic listener. They have the ability to be fully present with you as if you’re the only one in a crowded room. You feel seen, and heard for who you are. They can momentarily be in your shoes experiencing what you’re sharing with openness and empathy. A soulmate is someone who is intensely curious about life, and about your life especially. They eagerly seek out truth with a mind filled with wonder, no matter what interesting areas of life calls to them. They don’t presume to know it all no matter how much knowledge and experience they’ve gained, and as a result remain humble. A soulmate’s greatest value is their own sense of worth. They bring high self esteem to any relationship by having the ability to trust who they are and their own ability to make healthy, positive decisions, and not judge themselves when they make mistakes. High self-worth in a soulmate means they won’t be needy, controlling or demanding, because they are emotionally stable. They won’t compete against you out of insecurity or push their own beliefs on you. They won’t seek attention in order to make themselves feel good, because they already carry that light within them. Instead, a soul mate seeks to give and receive your light in return. A soulmate goes with the flow. They are not rigid in their thinking, and everything is possible to experience. They do not see things as black or white, but black and white. This allows you to explore all kinds of interesting life experiences together and keep your spiritual connection alive. A soulmate has the capacity to love you without conditions, but this does not mean you can treat them badly and they’ll put up with you! It means they trust you are doing your best and will love you despite any faults, mistakes or ways you show up that may not work for them. They love and accept you as you are. You don’t need to change to make them happy. A soulmate is compassionate. They have a willingness to see and feel the pain of others with a caring disposition, and a desire to nurture those in need. When you need a shoulder to lean on, they’re the first one there. A soulmate has an innate sensual quality that allows them to merge spirituality and sexuality. There’s an intimacy that’s natural and easy when you come together and connect on the deepest physical and emotional levels. Words may no longer feel necessary, as you communicate easily through touch and your other senses as well. A soulmate is committed to a set of values that honors both who they are and who you are. Their convictions are strong and cannot swayed by mere opinion. Their commitment to the love you share is unwavering. To attract a soulmate, you must be a soul mate. Becoming someone who holds these qualities will not only attract your soulmate, but when you find that soul who resonates with yours on all these levels, you can trust that it’s an eternal spiritual connection. This was originally published by Your Tango. I am stunned. Was bored, so I started. Reading this, post. Lol…Didn’t get, to finish. My reply to this post. You know how you get. When true revelation sets in. Just the knowing of, something for certain. And to feel. And just know, that it is all real. Not some fairy-tale. Life is differently not. Ha! Sometimes the joke! Can be on you. How is it perceived? It how you will handle things. Awww, at this moment in time. Everything is as it should be. I am truly happy. One year. Can make a difference. Everything that has happened. From getting laid off. Not job, but two. One company went out of business. The other company. The owner was opening a third store. Had to make cuts, in the budget. To keep down cost. Hours cut. Laid-offs. Then getting hit by a car. While crossing the street. Surviving that. Going through three surgeries to repair my legs. Facing a fourth one. Third for right leg. Everything. Serve a purpose, in life. It has led me, to you. Now I am engaged, to The love of my life. For me, there will be no other. My Love. M. Lopez, Who is Deployed in Afganistan at the moment. Been there two years. Will be home soon. Once he comes home, we plan to get married. After that, be happy!